The peaceful waters of Bottle Cove in the Humber Arm near Lark Harbour in Newfoundland, Canada is a spectacular place to stop to rest and enjoy the scenery. 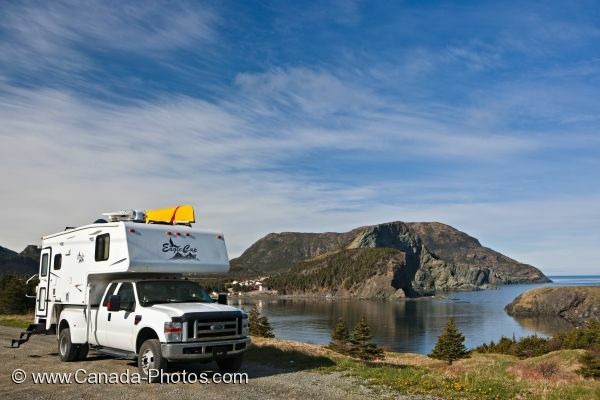 Traveling around Newfoundland in a camper makes life fairly simple as you can have lunch at any given rest stop along the road. Picture of a camper overlooking Humber Arm in Newfoundland, Canada at a rest stop surrounded by the serenity of Bottle Cove.